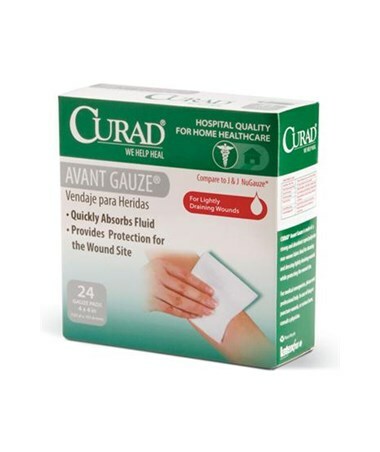 Curad Sterile Avant Gauze Pads help to reduce the number of changes and provide comfort. They quickly absorb fluid and provide protection for the wound site. 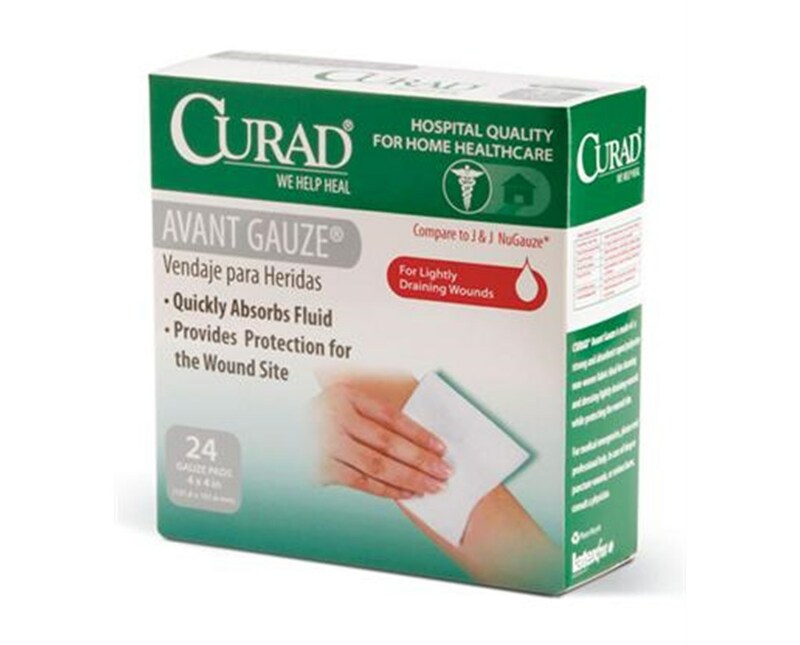 These pads are for lightly draining wounds, measure 4" x 4", are sterile and latex-free, and come in retail packaging.